Create your own Positive affirmation audios (DIY), subliminal Audios , Guided Meditation music with your own text. 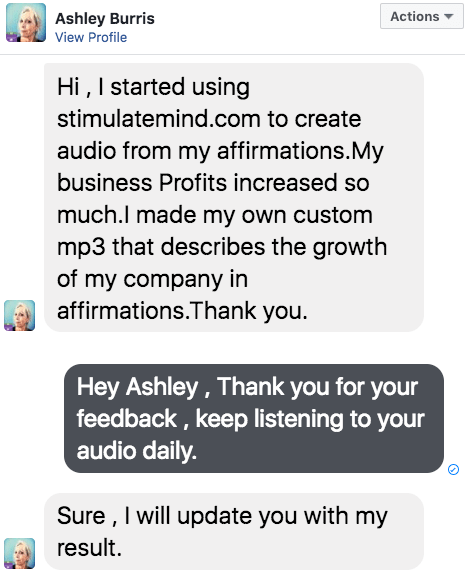 Change your life with Custom affirmations audios. 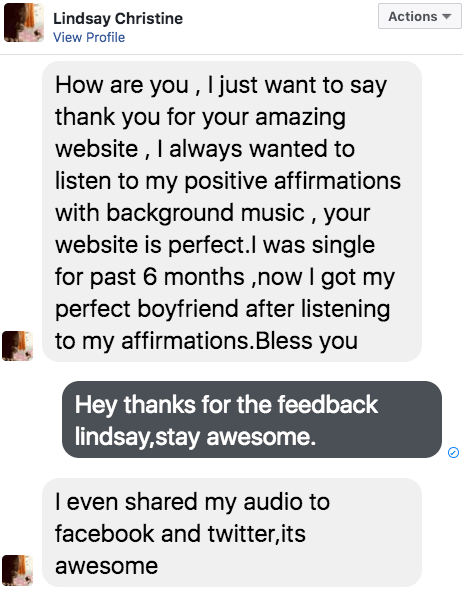 According to the law of Attraction, If you listen to affirmations daily before you sleep, you will attract that thing into your life. 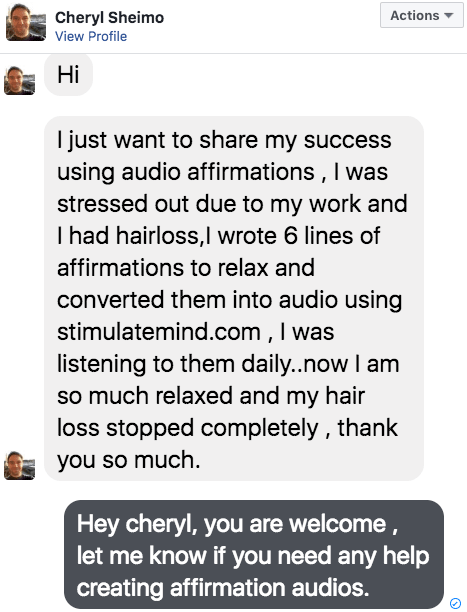 Note : Every new user get 15 Mins free consultation and 10 premium affirmation audio absolutely free. Below are Demo audios created from our website. My body knows how to heal itself, and is doing so even now. My body has the power to heal itself. I feel strong and energetic. My body tells me what it needs. Every part of my body carries out its tasks easily and naturally. Synchronise to Earth's 7.83 hz while you listen.